Did you know that Mother’s Day celebrations can be tracked down to Ancient Greece? Every year, in mid-March, Greeks were organizing festivities related to the mother of Greek gods, Cybele. However, the Romans were the ones to introduce the custom of gift giving to their mothers. Their holiday, Matronalia, was dedicated to Juno, the goddess of motherhood and women in general. In the modern world, Mother’s Day is celebrated all year round, with slight differences depending on the country and tradition. For most of us (Wikipedia says it’s more or less 100 countries), festivities take place in May. 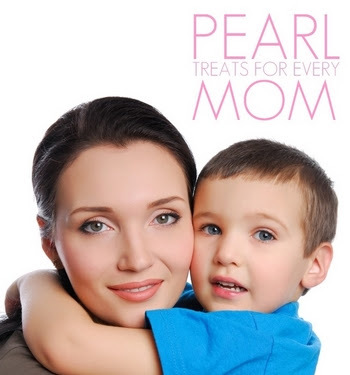 It's also this time of the year at Love My Pearls, when we mark down most of pearls in our shop for the most special women in our lives ... our Moms! Taking her to the restaurant or offering a bouquet of favorite flowers might be a good idea, but think of treating her with something she could carry close to her heart all year long to remember that special day. For one month, from now until May 30, each purchase of pearl jewelry from Love-My-Pearls.com for US$100 or more receives 15% off, so that you can give your Mother more for less. Imagine the look on her face when she opens the box and sees lavish pearl drop earrings or a stunning triple pearl necklace from Love My Pearls! All you need to do is insert the discount code FORMYMOM (all capital letters) during your order checkout*. Of course, you still get to benefit from the free priority international shipping to 56 countries worldwide for any order of US$150 or more!